Why Choose Us For Your Personal Injury Case Learn about the unique approach our Personal Injury Lawyers at GriffithLaw in Nashville have in working with our clients. Contact our firm to learn more. you made the decision to hire an attorney to help you with your personal injury case. Now what? It has been months and you have heard nothing. You trust that your lawyer knows best, but is that always the case? Here are the 5 Biggest Mistakes your lawyer may be making, and how to deal with it. What are your instructions from your lawyer.? If you have quit treating, but are still hurting, is your lawyer ruining your case? Doesn’t he/she know that gaps in treatment are like dessert to the insurance defense lawyer, and poison to your case. If you are still hurting from the injuries caused in your wreck, you must be going back to the doctor to make a record. You must know the Rule that “If it is not recorded in your doctor’s notes, then it did not happen.” If your lawyer is fine knowing that you hurt and doesn't recommend that you follow up to get help, then you need to have him explain to you how in the world this is helping your case. If you don't have the means to treat, or the funds, that is one thing, but if you have the opportunity and are simply refusing, you are hurting your case. In cases I handle where there has been another attorney involved before our firm took over, I see the same land mines that have been set by sheer laziness on behalf of the initial lawyer. Typically, lawyers who do not know what they are doing will wait until just before the statute of limitations and file the lawsuit. This is dangerous for multiple reasons. However, the bigger trap that I see is when the defense lawyer will force time deadlines on your case by a device called a “Scheduling Order.” These timelines can be strictly construed by the courts, and, depending on what you have done, can have severe ramifications in your case, including getting your case dismissed. That’s right… your lawyer can lose your case by simply doing nothing on it. As the party who is injured and bringing the lawsuit, you have the burden of proof. That means the defense can sit back and do nothing, and you still lose your case. In cases like yours, I always say…”Time is your Enemy.” Why? Important people in your case die, disappear, their memory fades, new injuries occur, and strict deadlines to act are always moving closer. Some lawyers cannot afford to put money into your case over and above the normal filing costs and medical records minimal costs. If you have a permanent injury, you may have a diminished earning capacity. If that is the case, then you need an expert known as a vocational expert. These guys aren’t cheap. Also, many lawyers are afraid, yes, afraid to take your doctor’s deposition. Why? They don’t do it enough to know what they are doing. Taking a doctor’s deposition takes some basic level of trial skills, and if not done correctly, can be worthless, or even hurtful to your case. You need someone who has been around the barn before, so-to-speak, that will handle the doctor deposition accordingly. One misleading fact that you may here, especially in great cases where the plaintiff lawyer is in over his head, is advice from your lawyer that he does not want to take the deposition of your doctor because he wants to save you money. There are cases where that is true. However, if you have a great case, it can be particularly advantageous to go ahead and take the deposition of your treating doctor in order to take away the bogus arguments by the defense lawyers that you have a weak case or that you can’t prove such and such. The typical lawyer that creates bad news for you, is the “I can do it all” lawyer. If your lawyers says they do “divorce, criminal, probate, estate planning, and ohh…. By the way, personal injury,” then you need to be on guard. These guys may be competent, or not. But the people who come to me and bring their cases that have been severely damaged by their prior lawyer they have just fired usually started out with a lawyer who advertises like the above. These guys think they can simply send a letter to the insurance company making a high demand just because they have a law degree, and the insurance companies just mail them a check. Maybe that was true 30 years ago, but it just ain’t so today. The insurance companies and their lawyers have spent millions of dollars learning how to psychologically beat your claim. That’s right, … beat you. If you don’t have someone in your corner who knows how to deal with their tactics, then you are at a severe disadvantage. Insurance companies know what they are doing. They keep track of the lawyers that do well against them, the lawyers who don’t, and the lawyers who have little experience against them. We all know that you would prefer to never have to take your case to trial, true? But have you ever stopped to consider that if you have a lawyer that always takes the insurance companies’ last offer, there is a higher percentage chance you are going to be “low-balled.” Why? The insurance company knows that your lawyer has a zero track record in court, and is likely going to be scared, underprepared, and not inclined to push your case forward. I always tell my clients that we have to keep aggressively push their case in order to get the insurance company to finally come around. Our reputation always matters. Our firm has fantastic trial results against the insurance companies…. And they know it. Our clients directly benefit from it. 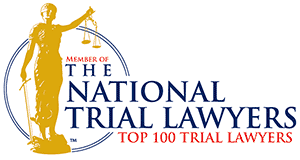 There are so many so-called “Trial Lawyers” who will NEVER go to trial. I believe these guys are frauds. They know you will never know or check their courtroom record. They know that you don’t really know the difference between going to court and taking some plea on a criminal type case, versus taking a case like yours before a jury. Taking a case like yours before a jury takes a very skilled lawyer, to do it right. Don’t you deserve to have the type of lawyer that has the abilities to hammer the insurance company if it is needed? Yes you do! What do you do if you are questioning your lawyer’s competency? Call them and ask for an appointment to meet with them face to face, especially if you are having trouble communicating. You are certainly entitled to that. Visit them and ask specifically what is the status of your case? Has a lawsuit been filed? What has your lawyer sent to the other adverse party? What is the plan? Is there a timeline? What is the next step? Is there anything you can do to move the case forward? Is there any doctor that you need to be seeing? Any vocational experts. Bottomline: In the personal injury world, the right, competent lawyer makes a tremendous difference.